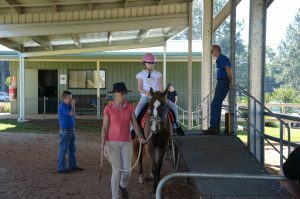 With locals surrounding the riding arena at the Ballina Riding for the Disabled (RDA), two young students prepare to showcase activities learnt during their riding lessons. The horses are saddled, helmets are clipped under chins and boots placed in stirrups. The nerves seem to disappear as soon as the students enter the arena in the saddle. The horse moves with them, a fluid motion between rider and animal. The smiles spread across their faces, they are in control and powerful. For some people living with a disability, opportunities to take part in different experiences can sometimes be difficult and out of reach. Riding for the Disabled Association has been providing horse riding lessons for people in Australia living with both physical and intellectual disabilities since 1964. The first RDA was established in Australia by Mr and Mrs McIntyre, who started providing riding therapy to people living with disabilities in the Brisbane area. The New South Wales RDA was founded in the early 1970’s and now, has grown to thirty-five centres throughout the state and is run predominantly by RDA volunteers. Often, people living in rural areas aren’t exposed to the same services that are offered to people living in cities or metropolitan areas, RDA is a unique service that is provided to rural areas as well as high density ones. In the rolling hills of Northern New South Wales, the Ballina RDA offers lessons three times a week to local people living with disabilities. The Ballina RDA started in 1979 at The Mitchell Centre and in 2013 received the news that local farmer, Brian McNamara, had bequeathed his forty-hectare property in Teven to RDA NSW with the hope that the Ballina RDA branch would continue to provide lessons to the local disabled community. 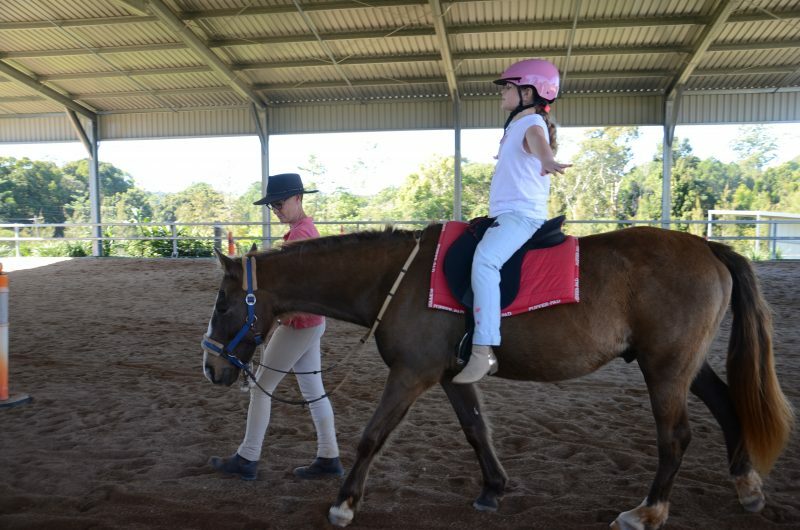 The Ballina RDA is home to ten horses and provides lessons to around thirty local students a week. When the centre moved to Teven it also expanded and a larger number of volunteers began training to help with the lessons at the property. Volunteer and Coach at the Ballina RDA, Anna Rimac, is a local volunteer who started with RDA around four years ago when the centre was first opened at the Teven property. When she semi-retired back in 2013 she finally had the time to give back to the community and decided RDA was the perfect opportunity to do this. ‘‘The RDA is a really big part of me just having that access and the experience to learn the skills that I have now and I’ve become obsessed with this job,’’ Mrs Rimac said. Mrs Rimac had no prior experience to horse riding apart from occasional trail rides when she was young. Mrs Rimac has undergone a number of courses through the RDA Association to become not only a volunteer but also a coach, which allows her to conduct lessons each week for the local students and she said they tailor the lessons to each student, their disability and their ability level. 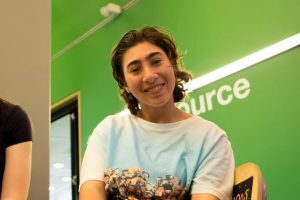 ‘‘We have a broad range of people with disabilities. Some children are profoundly disabled, non-communicative and sometimes aggressive and when they’re on the horse you can visibly see them relax and it also provides them with something to look forward to each week. We provide services to young children all the way through to more experienced riders,’ Mrs Rimac said. The President of the Ballina RDA, Beatrice Gray said the results she sees in the students are amazing. ‘‘You get some of these children that can’t walk and when you put them on a horse, the look on their faces and their smiles, it’s just magic,’ Mrs Gray said. Mrs Gray has been President of the Ballina RDA for five years and has enjoyed watching the results in students that have been attending lessons for an extended period of time. 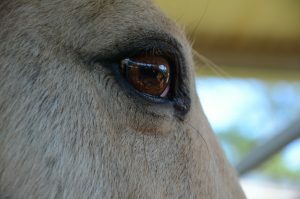 Horse riding has long since been an alternate therapeutic benefit for people who have a disability. 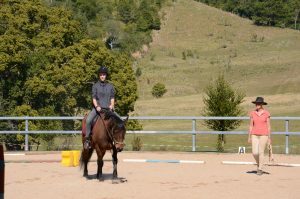 The movement of the horse is felt through the rider’s body, which Mrs Rimac said is the most beneficial aspect of the lessons she teaches. ‘‘When they’re on a horse, they’re relaxed but their spine, their lower back and their hips are working the same way as a person walking would. 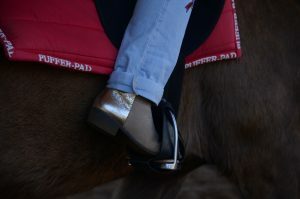 That alone is quite a unique aspect of what we do and what the horses provide,’’ Mrs Rimac said. 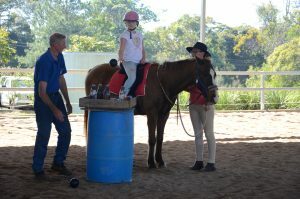 The Ballina RDA hopes to continue their work within the local community. 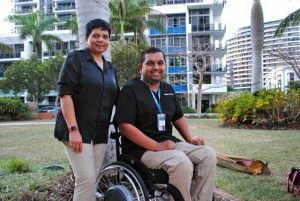 To provide this experience and opportunity to people living with disabilities in the Northern Rivers. 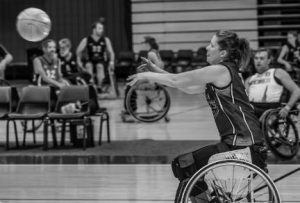 Mrs Rimac said becoming a volunteer and coach with RDA has been an amazing life changing decision and the work she is able to do through RDA is something she has always wanted to achieve. ‘‘Some years ago, there was a student who had cerebral palsy and I was leading him on the horse and I asked him what did he like about riding and he said when I’m up here I can walk as fast as you,’’ Mrs Rimac said.